Visible light responsive Graphene oxide (GO) nanotitania composite was synthesized and its photocatalytic activity was investigated for the degradation of Eosin Yellow (EY). The nanocomposite was synthesized by organic solvent free-controlled hydrolysis of titanium tetrachloride (TiCl4) exfoliated with 10 wt. % (0.5 g) of the as prepared GO particles under ultrasonication through in-situ addition of the aqueous GO solution. The synthesized nanocomposite has been characterized using X-Ray Diffraction (XRD), UV-Visible Diffuse Reflectance Spectral (UV-Vis DRS) and Field emission scanning electron microscope (FESEM) techniques. In the presence of visible light, its photocatalytic activity was enhanced on contrast with the synthesized bare nanotitania particles. The aqueous solution of EY has degraded in 80 minutes (95.5 %). It was also supported with the increase in the rate constant with the composite (7.05 x 10-2 min-1) as compared with that of the nanotitania (1.41 x 10-2 min-1). Through the chemical oxygen demand (COD) studies, effective mineralization of the dye was observed with the nanocomposite. In the recent times, the photocatalytic degradation with metal oxide semiconductors has been proved to be an effective methodology to detoxify a wide variety of industrial effluents . The strong oxidizing and reducing species generated during the process remain attached on the surface of the metal oxide and that converts the organic pollutants into simple and harmless products such as carbon dioxide and water . Metal oxides such as TiO2, ZnO, Fe2O3, ZrO2 have been known as the photocatalysts due to their electronic structure which is influenced by filled valence band and an empty conduction band . Titania (TiO2) has been identified and investigated thoroughly as a photocatalyst owing to its efficient ionic conductivity. High photocatalytic activity of TiO2 makes it a novel photocatalyst for the detoxification of several organic dyes in the visible region . However, the major drawback is its photosensitivity to solar light. The wide band gap of nanotitania (3.2 eV) limits its activity to Ultraviolet light which represents only 4 % of solar light affecting its efficiency as a photocatalyst . Recombination of the electron-hole pairs after generation is another problem hindering its efficiency as a photocatalyst in the visible region. It is therefore necessary to modify TiO2 in such a way that its wide band gap becomes narrow, and the recombination rate of the photo-generated electrons and holes is minimized. Currently, graphene has attracted scientific interest due to its promising thermal as well as electrical conduction properties. Due to the hexagonal honeycomb-like network, the sp2 - bonded carbon lattice has exceptional electrical and spacious delocalized π-bond that enhances its conductivity capacity and structural stability. Its oxygenated form, graphene oxide has been recommended to be a good supporting material for assembling on metal oxides. The resulting composites could act as charge carriers for the photocatalytic degradation process. In this respect, anchoring nanotitania particles over the GO sheet can be efficient method to attain a promising photocatalyst . The wide band gap of TiO2 can be reduced by graphene oxide modification . Graphene oxide based nanocomposites are expected to be visible light active and exhibit synergistic properties, due to their narrow band gap associated with optical and mechanical properties. The nanotitania composite exfoliated with an optimum weight percentage of graphene oxide are synthesized in the present study, and its efficiency as a visible light active photocatalyst is compared with that of the bare nanotitania. Eosin Y (EY), a synthetic heterocyclic compound, is a red fluorescent anionic dye. Eosin and its analogues are mainly used in dyeing or textiles, ink manufacturing, and in coloring cosmetics . Wastewater containing EY causes serious environmental problems due to its stability and dark color . The dye is widely used as counter stain in routine staining of histological tissue sections . These stains were reported to be mutagenic for humans and animals . High concentrations of the dye in the stain solutions results in the formation of waste water toxicity. Hence, in the present work, EY (Fig. 1) was selected as the dye model for the photocatalytic degradation study using nanotitania and GO-nanotitania composite under visible light irradiation. were procured with AR grade quality from SD-Fine analytical grade of 99 % purity. Eosin yellow (Molecular formula: C20H8Br4O5, λmax = 517 nm, Molecular weight: 647.89 g mol-1) was selected as the probe molecule for the present study. All the chemicals were used as procured without any further purification. The experimental solutions were prepared using distilled water (DI). Graphene oxide (GO) was prepared by the modified Hummers method , dried and characterized. A standard solution of GO was prepared by dispersing 1 g of GO powder in 100 mL of distilled water and kept under ultrasonication. A standard solution of GO was prepared by dispersing 1 g of GO powder in 100 mL of distilled water and kept under ultrasonication. In order to compare the photocatalytic activity of the bare nanotitania particles and GO coated nanotitania composite, TiCl4 was selected as the precursor and hydrolyzed under aqueous medium. A measured volume of GO solution was added into the reaction mixture to which TiCl4 was also added simultaneously and kept under ultrasonication . The volume of GO, TiCl4 and water were fixed according to the designed reaction conditions . The finally obtained nanotitania particles and the nanotitania composite with 10 % GO were dried and calcined under optimum temperature conditions. The composites were characterized using X-Ray Diffractometer (PANalytical-X’ Pert PRO, Japan) at room temperature using Nickel Filter Cu-Kα radiation (λ= 1.54059 A°) over wide range of 10°≤ 2θ ≤ 80° with a scanning speed of 2 min-1. The UV-visible diffuse reflectance spectra were recorded using Single Monochromator UV-2600 (optional ISR-2600Plus, λ up to 1400 nm). The morphology of the as-synthesized composite was investigated by field emission scanning electron microscope, FESEM (LEO1550). UV-visible spectrophotometer (Shimadzu UV-2550, wavelength range: 180-1100 nm) was used to study the photocatalytic performance of the synthesized nano composite. 10 mg of the composite was added to 10 ppm of 100 mL of the dye solution under continuous stirring. After establishing adsorption-desorption equilibrium for 30 minutes in dark condition, the photocatalytic study was carried out under 400 watts tungsten halide lamp embedded in a wooden breakfront. In pre-determined time intervals, 5 mL of aliquots was drawn, centrifuged and the translucent dye solutions were analyzed using UV-visible spectrophotometer at the respective absorption wavelength (λ max= 517 nm) of the dye. The % degradation of the dye was calculated using equation.1. where C0 is initial concentration of the dye and Ct is the concentration of the dye at a time interval, t.
The diffractograms of nanotitania and 10 % GO - nanotitania composite are shown in Figs. 2a and 2b, respectively. The spectra of nanotitania particles (Fig. 2a) revealed the formation of the distinct anatase phase with a peak at 2θ = 25.2° (JCPDS File No. 21-1272) for the diffraction pattern (101) and other related peaks at 35.7°, 37.5°, 47.4°, 54.4°, 62.2°, 69.4°, 74.8°, and 82.3° for the diffraction patterns (103), (004), (200), (211), (204), (220), (215), (303) can be observed corresponding to the formation of body centered tetragonal nanotitania. Also, the diffractogram of 10 % GO - nanotitania composite (Fig. 2b) clearly indicates the presence of the characteristic GO peak C (002) along with the anatase diffraction peaks of nanotitania particles. The average crystallite size was calculated using Debye - Scherrer equation (Equation 2) based on full width at half maximum (FWHM) for the characteristic anatase diffraction plane (101) obtained at 2θ = 25.2°. The crystallite size was obtained as 14.48 nm and 16.27 nm for nanotitania and GO – nanotitania composite, respectively, as shown in Table 1. The low crystallite size of nanotitania compared to Degussa P25 indicates the formation of highly crystalline nanosized particles. This formation is also revealed from the broadening of peaks in both spectra . where K is a dimensionless factor (0.9), λ is the X-ray wavelength =1.54059 A°, β is full width at half maxima (FWHM= 0.98072) and θ is the diffraction angle. The optical properties were studied and the results were presented in Fig. 3. Nanotitania particles showed an absorption edge at 425 nm while the absorption was shifted (red shift) to 525 nm on incorporation of GO particles on its surface. This clearly demonstrates a significant effect of GO on the optical characteristics of the GO-nanotitania composite material and narrowing the band gap in the composite. These results can be ascribed to the synergistic effect of GO and nanotitania particles on the optical properties of 10 % GO – nanotitania composite. Further, the light absorption properties of GO is greater than those of nanotitania and it increases the light absorption shift towards the visible region [13, 14]. The band gap energy was calculated using Equation 3 and the results are presented in Table 2.
where Eg is the band gap energy in electron volts and λ is the wavelength in nanometers. The band gap of pure titania is 3.2 eV whereas in GO it is around 1.9 – 2.6 eV . The narrow band gap in the synthesized nanotitania (2.91 eV) compared to the commercial Degussa P25 may be due to its concise crystallite size (14.48 nm) as calculated from Equation 2. Further, the band gap in the nanocomposite with 10 % GO was determined as 2.36 eV showing the narrowing in the band gap on incorporation of GO on the surface of the nanotitania particles. The surface morphological characteristics of the synthesized composite was presented in Fig. 4 (a). It reveals the formation of spherical shaped particles in the FESEM image (at 10 nm scale) tending to form as large aggregates. Further, the EDAX elemental analysis (Fig. 4 b) indicates the peaks corresponding to carbon (C) atom of GO, titanium (Ti) and oxygen (O) . The effect of initial dye concentration on photocatalytic degradation of EY was estimated by varying the concentration from 1.16 x 10-5 M to 3.5 x 10-5 M. The study was performed with a known weight of nanotitania and 10 % GO-nanotitania composite respectively; the results are shown in Figs. 5 (a) and 5 (b). The percentage degradation efficiency was high for the concentration of 2.33 x 10-5M, and it gradually decreased at higher concentrations. This phenomenon was observed to be superior with GO containing nanotitania composite compared to the bare nanotitania particles. With increase in concentration of the dye, its rate of adsorption on the active sites of the photocatalyst increases, and simultaneously decreases the adsorption tendency of hydroxyl ions on these sites. Hence, the generation of hydroxyl radicals, that are the major degradation agents, decreases. However, high dye concentrations decrease the photon numbers and their adsorption on the surface of the catalyst, and finally decrease the degradation efficiency . From these studies, the optimum concentration of EY was fixed as 2.33 x 10-5 M for the successive experiments. The effect of degradation on the aqueous solutions of EY with concentration of 2.33 x 10-5 M was tested with the synthesized nanomaterials; the results are shown in Fig. 6. There was no significant degradation either through catalysis or photolysis processes. However, very phenomenal degradation tendency of EY has been observed in the presence of the synthesized nanomaterials under visible light irradiation. The nanotitania particles have shown 65 % degradation efficiency and the tendency has improved to almost 98 % with 10 % GO - NT composite (for known weight) in 80 minutes. This may be due to increased light absorption capacity of GO coated on highly crystallised in-situ synthesized nanotitania composite, and its narrow band gap creates a superior photocatalytic ability . Hence, in the subsequent experiments, the nanotitania composite with 10 % GO was used for the degradation studies. The amount of photocatalyst on degradation of EY has been studied and presented in Fig. 7. The catalyst (10 % GO – nanotitania) load was varied from 2 mg to 12 mg/100 mL with 2.33 x 10-5 M concentrated EY solution at the natural pH of the dye (5.97). The results represents that the degradation efficiency has increased with increase in catalyst dose and at higher catalyst dose above 8 mg, the trend was not much effective. With increase in amount of the catalyst, the rate of adsorption of the dye increases due to more number of active sites on the surface of the catalyst . However, high catalyst dose bring opacity in the aqueous solutions and restricts the penetration of the visible light with decrease in the rate of degradation. Therefore, an optimum amount of 8 mg/100 mL of EY solution was chosen as catalyst dose for the studies. The effluents released from textile industries contain harmful dyes at various pH conditions. The pH of a solution is an important factor in the photocatalytic reactions as it determines the charge of the particle surface . Hence, the influence of pH on the degradation of the dye was estimated by varying the pH values at 4.5, 5.7, 6.8, 10.7 and 11.1, respectively, for a fixed concentration of dye [2.33 x 10-5 M] and catalyst load (10 % GO – nanotitania composite, 8 mg/100 mL). The surface properties of the photocatalyst depend on the zero point charge (zpc) of the surface. For TiO2, the zpc is 6.8, indicating that the surface is positively charged in the acidic range and negatively charged in the alkaline range . Moreover, the presence of more oxygen containing acidic functional groups on the outer layers of GO (zpc ≈1.6) would have further decrease in the zero point charge of TiO2 with 10 % GO. As depicted in Fig. 8, the degradation efficiency of EY was more in the pH range of 5.7 – 6.8. With further increase in pH, the degradation efficiency is decreased. There might be a strong chemical interaction and adsorption between the negatively charged EY molecules and the positively charged surface of TiO2 below pH 6.8, which would lead to degradation of the dye. Very low degradation rate at higher pH conditions may be due to repulsion between the negatively charged dye and the catalyst surface. The chemical oxygen demand was estimated separately to evaluate the mineralization of the dye. It is indication of the oxygen equivalent of organic matter present in the wastewaters. The analysis was performed with 8 mg of 10 % GO - nanotitania composite dispersed in 100 mL aqueous solutions of EY with concentration 2.33 x 10-5 M using dichromate (K2Cr2O7) method . where B and A are the volumes (mL) of FAS consumed for the blank (distilled water) and the sample under study, respectively. 1 mL difference between the titrations corresponds to 0.2 mg of oxygen required for the 5 mL sample, and 200 is deduced as calculation factor. The kinetic study was performed for the degradation of EY dye using Langmuir-Hinshelwood kinetic model . where Co is the initial concentration and C is the concentration of EY solution at time t. k is the rate constant and K is the adsorption coefficient of EY dye onto the photocatalyst. The kinetic plots of EY degradation were depicted in Fig. 9. The rate constants (k) were calculated as 1.41 x 10-2 min-1 (R2 = 0.9723) and 7.05 x 10-2 min -1 (R2 = 0.9912) for the rate of degradation with nanotitania and 10 % GO – nanotitania composite, respectively. The rate constant has been increased 7 times with the GO nanocomposite with nanotitania. It shows the superior effect of GO assembled on nanotitania in enhancing the rate of reaction . The schematic illustration of the photocatalytic reactions is presented in Scheme 1. Under visible light illumination, typical photosensitised mechanism was proposed in which the adsorbed dye molecule on the surface of the photocatalyst is excited followed by consequent transfer to the conduction band of the catalyst [16, 21, 22]. The dye molecule is converted to a cationic radical. Without GO in the photocatalyst, the e-/h+ pairs are recombined causing a low photocatalytic activity. Its presence forms a strong overlap between the d-orbital (conduction band, CB) of nanotitania and π-orbital of GO causing a synergic effect . In this interaction, the electron in the CB of nanotitania can be easily shuttled into the conducting zone of GO thereby decreasing the recombination of e-/h+ pair. The negative electron reduces oxygen to superoxide ions and the positive hole in the valence band (VB) of nanotitania oxidises water molecules to hydroxyl radicals. These superoxide ions and hydroxyl radicals would mineralize the dye. The nanotitania composite assembled with an optimum weight percentage of graphene oxide was synthesised through the in-situ addition of TiCl4 in an aqueous medium under ultrasonication. Exfoliation of GO on nanotitania surface was clearly identified through XRD and UV-Vis DRS spectral analysis. The photocatalytic activity of these composites was investigated for the degradation of EY under visible light irradiation. With an optimum increase in GO percentage of the composite, degradation of the dye was improved compared with that of nanotitania. Further, the COD studies confirmed the photoefficiency of the composite by degrading 95.5% of EY. The results of COD loss and degradation efficiency were compared and a close agreement was observed in both the studies. The authors thank Advanced analytical laboratory, Andhra University for providing XRD instrumentation facility, National Institute of Techology, Warangal for instrumentation facility of UV-Vis DRS. 1. Roy TK, Mondal NK. Photocatalytic Degradation of Congo Red Dye on Thermally Activated Zinc Oxide. International Journal of Scientific Research in Environmental Sciences. 2014;2(12):457-69. 2. Khan R, Kim T-J. Preparation and application of visible-light-responsive Ni-doped and SnO2-coupled TiO2 nanocomposite photocatalysts. Journal of Hazardous Materials. 2009;163(2-3):1179-84. 3. Asahi R, Morikawa T, Ohwaki T, Aoki K, Taga Y. Visible-Light Photocatalysis in Nitrogen-Doped Titanium Oxides. Science. 2001; 293(5528): 269. 4. Alkaim AF, Mohammed BA. Adsorption and Photocatalytic degradation of crystal violet dye in the presence of different metals doping on TiO2. Journal of applicable chemwastry. 2013; 2: 291-303. 5. Majek M, Filace F, Wangelin AJv. On the mechanism of photocatalytic reactions with eosin Y. Beilstein Journal of Organic Chemistry. 2014;10:981-9. 6. Stankovich S, Dikin DA, Piner RD, Kohlhaas KA, Kleinhammes A, Jia Y, et al. Synthesis of graphene-based nanosheets via chemical reduction of exfoliated graphite oxide. Carbon. 2007;45(7):1558-65. 7. Štengl V, Bakardjieva S, Grygar TM, Bludská J, Kormunda M. TiO2-graphene oxide nanocomposite as advanced photocatalytic materials. Chemistry Central Journal. 2013;7(1):41. 8. Poulios I, Micropoulou E, Panou R, Kostopoulou E. Photooxidation of eosin Y in the presence of semiconducting oxides. Applied Catalysis B: Environmental. 2003;41(4):345-55. 9. Muruganandham M. Decolourisation of Reactive Orange 4 by Fenton and photo-Fenton oxidation technology. Dyes and Pigments. 2004;63(3):315-21. 10. Barr CFACRTAWT. Cellular Pathology Technique Elsevier; 1985. 11. Siva Kumar S, Ranga Rao V, Nageswara Rao G. Effect of Silver Impregnation on Efficiency of ZnO for Photocatalytic Degradation of Eosin Y. Proceedings of the National Academy of Sciences, India Section A: Physical Sciences. 2013;83(1):7-14. 12. Addamo M, Augugliaro V, Di Paola A, García-López E, Loddo V, Marcì G, et al. Preparation and photoactivity of nanostructured TiO2 particles obtained by hydrolysis of TiCl4. Colloids and Surfaces A: Physicochemical and Engineering Aspects. 2005;265(1-3):23-31. 13. Nguyen-Phan T-D, Pham VH, Shin EW, Pham H-D, Kim S, Chung JS, et al. The role of graphene oxide content on the adsorption-enhanced photocatalysis of titanium dioxide/graphene oxide composites. 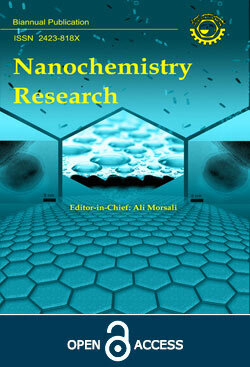 Chemical Engineering Journal. 2011;170(1):226-32. 14. Jo W-K, Kang H-J. Titanium dioxide–graphene oxide composites with different ratios supported by Pyrex tube for photocatalysis of toxic aromatic vapors. Powder Technology. 2013;250:115-21. 15. Sahoo C, Gupta AK, Pal A. Photocatalytic degradation of Methyl Red dye in aqueous solutions under UV irradiation using Ag+ doped TiO2. Desalination. 2005;181(1-3):91-100. 16. Konstantinou IK, Albanis TA. TiO2-assisted photocatalytic degradation of azo dyes in aqueous solution: kinetic and mechanistic investigations. Applied Catalysis B: Environmental. 2004;49(1):1-14. 17. Yahia Cherif L, Yahiaoui I, Aissani-Benissad F, Madi K, Benmehdi N, Fourcade F, et al. Heat Attachment Method for the Immobilization of TiO2 on Glass Plates: Application to Photodegradation of Basic Yellow Dye and Optimization of Operating Parameters, Using Response Surface Methodology. Industrial & Engineering Chemistry Research. 2014;53(10):3813-9. 18. Mendham J DRC, Barnes J D, Thomas M, Sivasankar B Vogel’s Quantitative Chemical Analysis: Pearson; 2009. 19. Özkan A, Özkan MH, Gürkan R, Akçay M, Sökmen M. Photocatalytic degradation of a textile azo dye, Sirius Gelb GC on TiO2 or Ag-TiO2 particles in the absence and presence of UV irradiation: the effects of some inorganic anions on the photocatalysis. Journal of Photochemistry and Photobiology A: Chemistry. 2004;163(1-2):29-35. 20. Morales-Torres S, Pastrana-Martínez LM, Figueiredo JL, Faria JL, Silva AMT. Graphene oxide-P25 photocatalysts for degradation of diphenhydramine pharmaceutical and methyl orange dye. Applied Surface Science. 2013;275:361-8. 21. Ryali SS, Sanasi PD. Facile Synthesis of Graphene Oxide-Nano Titania Composites and Evaluation for Visible Light Assisted Photocatalytic Degradation of Rhodamine B. Asian Journal of Chemistry. 2018;30(6):1284-90. 22. Ryali S, Sanasi PD. Graphene oxide–nano‐titania composites for efficient photocatalytic degradation of indigo carmine. Journal of the Chinese Chemical Society. 2018;65(12):1423-30. 23. Rao AP, Umabala A, Suresh P. Non-TiO2 Based Photocatalysts for Remediation of Hazardous Organic Pollutants under Green Technology-Present Status: A Review. J Aplicble Chem. 2015;4(4):1145-72.